Three farms in Ashtabula, Medina and Stark counties have been permanently preserved with the help of the Ohio Department of Agriculture (ODA) and the nonprofit Western Reserve Land Conservancy. In December 2016, Western Reserve Land Conservancy recorded agricultural easements on the 84-acre Waris farm in Ashtabula County, 47-acre Swingle farm in Medina County, and 54-acre Brahler farm in Stark County. Each easement was supported through ODA’s Clean Ohio Local Agricultural Easement Purchase Program (LAEPP) which provides funding to purchase agricultural easements from landowners who volunteer to keep their land in agricultural production in perpetuity. According to ODA, landowners can apply for the LAEPP through pre-approved local sponsors; each local sponsor receives a portion of the Clean Ohio funds appropriated that year to purchase easements from the highest scoring applicants in their area. The program is highly competitive with only about one in 15 applications being funded. Agricultural easements are voluntary and legally-binding restrictions placed on farms that limit the use of the land to predominantly agricultural activity. The land remains under private ownership and management and stays on the tax rolls under Current Agricultural Use Valuation (CAUV). The farmland can be sold or passed along as a gift to others at any time, but the restriction prohibiting non-agricultural development stays with the land. 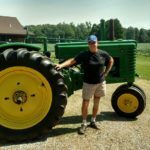 Keith Waris jokes that he learned to operate a tractor at the age of three on his grandfather’s original 103-acre farm. 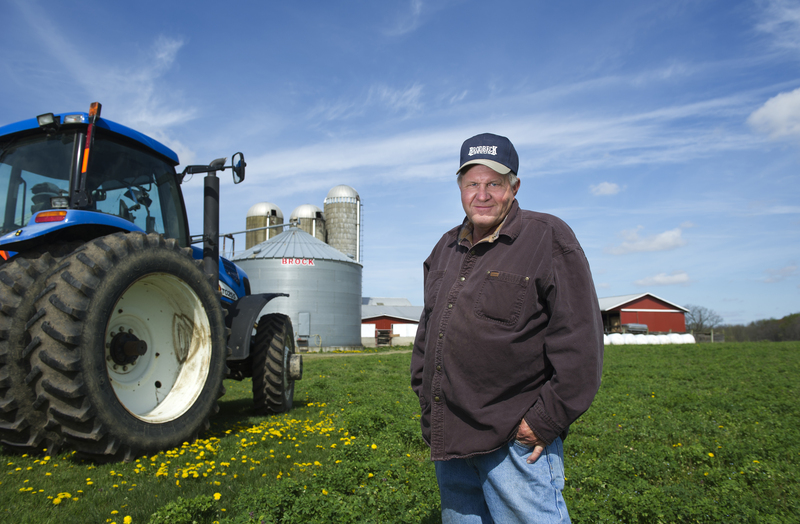 Today, the third generation Ashtabula County farmer owns 580 acres and concentrates on grain farming and running a small cattle operation. Waris first contacted the Land Conservancy in 2008 to discuss farmland preservation opportunities. With the Land Conservancy’s assistance and funding from ODA, Waris permanently preserved 203 acres of farmland surrounding his farmstead and 150 acres of nearby farmland in 2011. In December 2016, Waris permanently preserved an additional 84 acres of farmland located in Wayne Township, Ashtabula County. The property is currently managed for row crops and is typically planted in soybeans and corn. A small portion of the parcel is forested and a headwaters stream of Pymatuning Creek bisects the property. Waris has worked with the Natural Resources Conservation Service (NRCS) to implement conservation plans on each of his preserved properties to minimize soil loss and protect water quality. Charles Swingle, Jr.’s grandfather established his family farm, located approximately 2 miles east of the Litchfield town center, in the early 1940s. 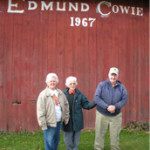 Today, Swingle Jr. owns the farm with his sisters, Patricia Reisner and Nancy Miller, and manages its operations. 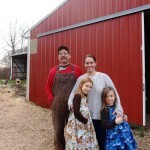 The children worked to permanently preserve the farm in honor of their father, Charles Swingle, Sr., who still operates the tractor on occasion. Swingle harvests approximately 24.5 acres of corn, soybeans and hay on rotation and also runs a small cattle operation. The remaining portions of the preserved property are primarily natural areas and a maintained area including a single-family residence, an agricultural building complex and a lake. James Brahler took over operations of his family’s 54-acre farm in Marlboro Township after his mother, Frances, passed away four years ago. Wanting to preserve the farm forever, Brahler contacted Western Reserve Land Conservancy to apply for the LAEPP. 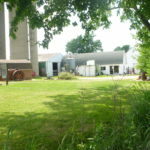 The majority of Brahler’s property is used for farming corn, oats, wheat and soybeans. Brahler also raises cattle and chickens on the farm. The cattle are housed in a large bank barn constructed on the property in 1877. Brahler said he plans to invest his LAEPP funds into building a larger chicken house.